PATNA: A number of top leaders quit the NDA on Friday just ahead of the Lok Sabha polls in a setback to the ruling alliance. 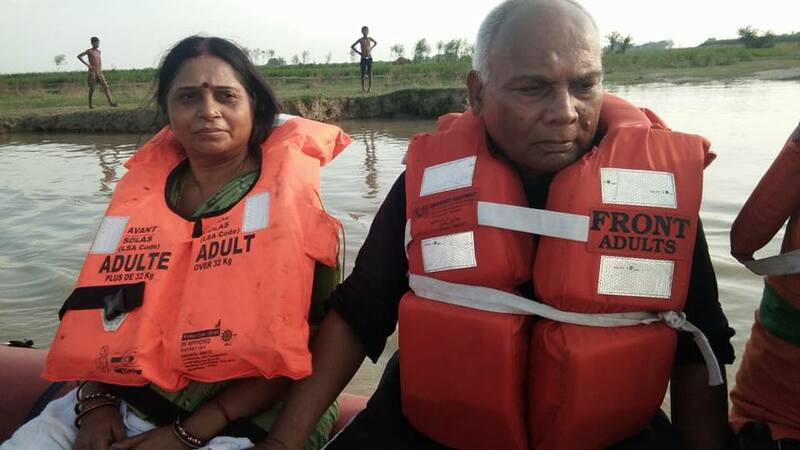 Former disaster management minister Renu Kushwaha, her husband Narendra Kumar, former legislator Poonam Devi and Narendra Singh Kushwaha announced quitting the BJP at a joint Press conference on Friday. The leaders accused the party of ignoring the Kushwaha community leaders and giving tickets to those having money power. Poonam Devi alleged chief minister Nitish Kumar had once described the BJP as “Bharat Jalao Party” but now he has allied with the same party. In another jolt to the ruling coalition, former JD-U legislator Dawood Ali joined the RJD along with his supporters today. State RJD president Ramchandra Purve announced induction of Ali and his supporters in the presence several party leaders at the RJD headquarters.